Smartphone Access Now Available at 5,000 Wells Fargo ATMs in U.S.
Update: Wells Fargo has upgraded its ATMs again. After introducing a cardless system that allows customers to use a special code from their smartphone apps to access ATMs, Wells Fargo has started to make it even easier to use its cardless system. Now, at 5,000 of the bank’s 13,000 ATMs, account holders who have smartphones equipped with Apple Pay, Samsung Pay or Android Pay can tap their phones to begin a transaction. Account holders will still need to enter their PIN after tapping their smartphones. 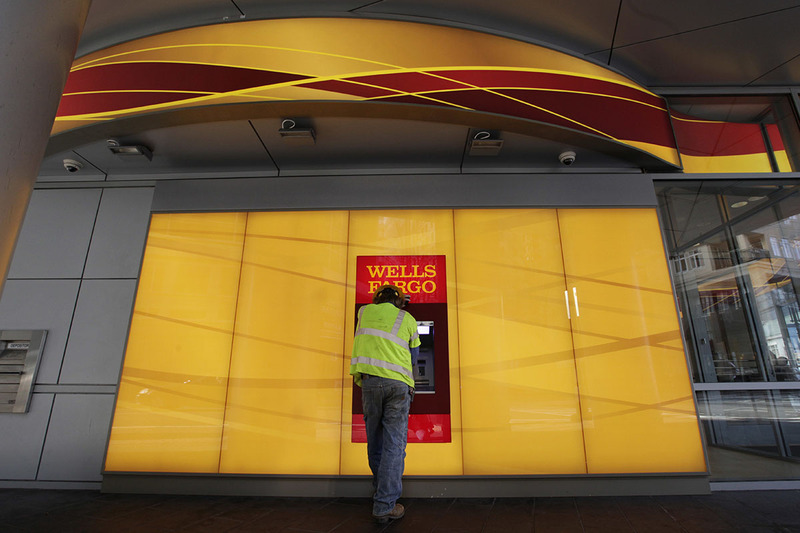 Wells Fargo expects to roll out this new technology at all 13,000 of its ATMs by 2019. ATM skimmers may have to find a new hobby. With the rise in funds being stolen from innocent consumers due to ATM skimming, major banks around the country are developing innovative ways to protect their customers. While most of these new technologies are still being piloted, one major banking chain recently announced that all of its ATMs will now be better equipped to protect its customers from having their debit card information stolen. To protect customers against ATM skimming, Wells Fargo recently implemented card-free access to its ATMs. In March, Wells Fargo mobile customers gained card-free access to all 13,000 Wells Fargo ATMs in the U.S. via an eight-digit code in addition to PINs. Customers receive the unique code via the Wells Fargo mobile banking app, giving them access to their funds and enabling them to make cash withdrawals without a debit card. The machines still accept debit cards. After last year’s ugly scandal over bank employees creating millions of unauthorized accounts for customers, checking account openings had fallen 43% as of March. The rollout of the new cardless technology is seen as an attempt by the company to amend ties with both its current — and potential — customers. Skimming is a booming business for thieves all around the world; from 2014 to 2015, the number of ATMs compromised by skimming practices increased 546%, according to the FICO Card Alert Service. How it works: Hidden electronics gather information from PIN keypads or your debit card. While skimming can occur anywhere you swipe your card, 94% of security breaches stem from ATMs. Odd appearance, such as mismatched colors or graphics on the screen not being correctly aligned. Loose card readers, as they can be a sign that thieves placed a fake box over the original card slot in an attempt to record account and PINs. A lack of flashing lights on card readers means that a skim device may have been placed on top of the original card reader slot. For more information on how to protect yourself from ATM skimming, check out our article here.